Nosromo wrote: My friends told me about this theme but unfortunately I find that it is not available anymore. As Blue Moonlight Vista uses my most advanced code engine, I always update it first for new Firefox versions and use the changes as the template for all the others. - the tabbar New Tab button here is fairly faint, but that's just because I don't like this feature, the released themes will have a more prominent version. Just a follow up as someone who is new to this I wonder if I could pump you for more details if you would be so kind? Nosromo wrote: Just a follow up as someone who is new to this I wonder if I could pump you for more details if you would be so kind? Well, what to add? BMV and Metal Lion 2 probably will not become public themes again, if only because of the 'been there, done that' factor. It's worth mentioning that the only pleasure that I get from making themes is, er, actually designing, creating and making the graphics, so once that bit is done ........... Plus, I am now supposed to be an ex-themer these days. This is one mother of a dark theme that I started back in May (?) which is 50% done and then summer began and my attention was diverted (as usual) to outdoor pursuits and also my garden (I grow lots of dahlias, flowers, veg, etc). With the weather now cooling slightly and the draw of the great outdoors waning somewhat, now is the time to finish this one, I think. Against my better judgement, I'll probably release it on Addons first. To be quite honest with you the real reason for this is, if you only release brand new themes on your own website, then some bugger of a theme ripper comes along, puts it on Addons (as CatThief found out) and tries to claim it as their own! Sad, but true and just one of the many reasons why there are not better Firefox themes about. So...a mixture of all sorts of Metal Lion type news for you. Hope that answer your question and apologies again for totally missing your second post here. This is my first theme.....for K-Meleon, which is a browser I have been using a lot on my netbook - I don't normally have that 'Privacy Toolbar' above showing. I've struggled to come up with a name for this theme and have settled on Blue Moonlight Vista for K Melon. You need to use a dark OS theme as well, but I was. So, that's OK. Interesting job and I've solved a few problems with K-Meleon themes doing this one. 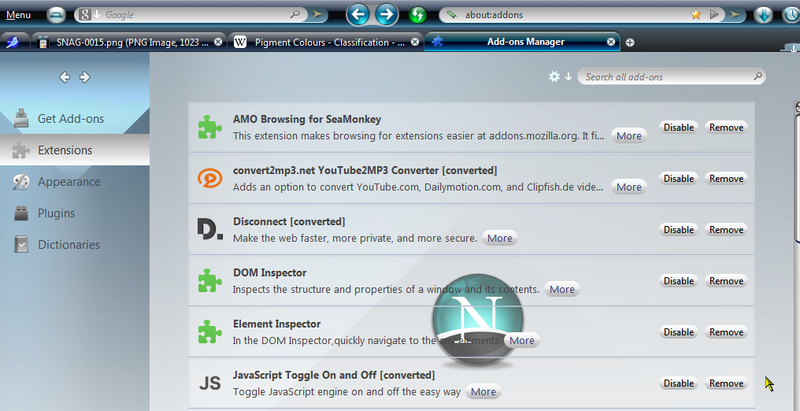 Anyone using this browser, just PM me for this 'new' theme. Edit - got rid of image link above, as it's now an ad! Last edited by Frank Lion on August 26th, 2015, 5:41 am, edited 1 time in total. Wow. That actually makes me want to use K-Meleon! I notice you say, you need to use a dark OS theme... so I guess it's not XP compatible eh? patrickjdempsey wrote: Wow. That actually makes me want to use K-Meleon! I notice you say, you need to use a dark OS theme... so I guess it's not XP compatible eh? Wish they hadn't made K Melon so OS theme dependant, give me 10 minutes on any form of chrome file and I could have changed the colour of the separators, tabs, search/urlbars and not needed an OS theme to complete the job. Yeah, I would have preferred my scrolls on it, but could have managed with native ones. Theme-wise, the main technical problem is their use of .bmp for icons, which use magenta for transparency. This means you cannot just take decent .pngs and slap them on or you get shades of magenta on the edges. You follow me? That's why the forward/back are no longer joined as on the true BMV. 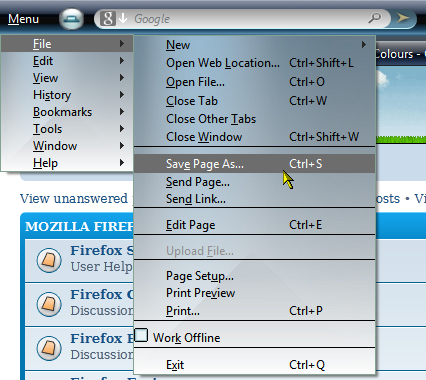 However, using a new technique, I managed the rest OK. My toolbars were just converted and that was it. I confess to a slight irritation - this is a damn good browser and if they had just gone a fraction more, i.e. userChrome.css, then I could theme the hell out of it and give it a UI like they wouldn't believe. Ah, well. Ahhh... I wondered why most of the K-Meleon themes I had seen used pixel-art instead of smooth graphics. I've never gone very far into theming XP, I usually strip out as much of the *fancy* stuff as possible for annoyance/speed reasons. If I was running 7 I would ask for it in a heartbeat though! This is the first look at the Blue Moonlight Vista port I've done for SeaMonkey. As the original BMV was originally only for Firefox, I built this one using AK2 as the template engine, in fact, it's actually built on top of it, but that's a technical thing. This means that the SM Email side and T/Bird 60 both look OK as the really good AK2 toolbar buttons show, but with BMV toolbar backgrounds and other BMV styling. This BMV also has a small icons mode, that the original never did. Whole thing didn't take too long at all (2 or 3 evenings got 90% done) and it's now finished apart from more work on the scrollbar side and I reckon I might darken the urlbar/searchbar grads up a bit. I'll add more pics, when the mood takes me. Last edited by Frank Lion on March 17th, 2019, 8:56 am, edited 3 times in total. Anything's possible. Especially when the weather is bad and I get really bored.